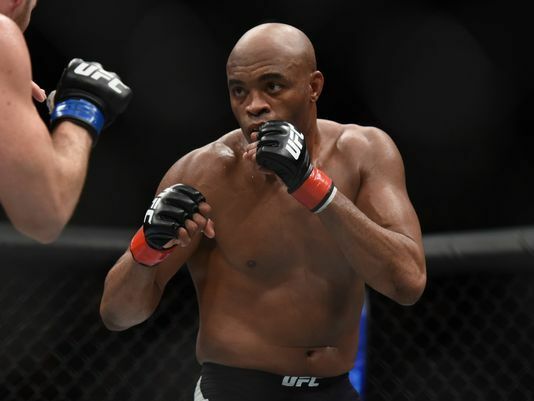 Anderson Silva only needed 49 seconds to introduce himself to the UFC at Ultimate Fight Night 5. “The Spider” knocked out the previously undefeated Chris Leben with a knee strike, heralding his arrival to an Octagon that he would eventually dominate as middleweight champion. Silva entered the UFC with a 17-4 record in PRIDE, Cage Rage and other promotions around the world. The victory earned Silva a title shot against Rich Franklin. Jonathan Goulet bounced back from an 11-second loss to Diego Sanchez, defeating Luke Cummo by majority decision. Rashad “Suga” Evans improved his record to 8-0 by winning a majority decision over Stephen Bonnar. TUF 2 alumnus Rob “Maximus” MacDonald used an armbar to submit TUF 3 competitor Kristian Rothaermel at 4:01. UFC kicked off the Spike TV show with a lightweight bout, as Mark Hominick beat Jorge Gurgel by unanimous decsion. In a preliminary fight, Jon Fitch scored his third win in a row by defeating Thiago Alves via TKO late in Round 2. Fitch won with an upkick, followed by a flurry of punches. Other prelim results included Josh Koscheck over Dave Menne by unanimous decision; Jason Lambert over Branden Lee Hinkle by TKO; and Jorge Santiago over Justin Levens with a knee-strike knockout at the 2:13 mark.